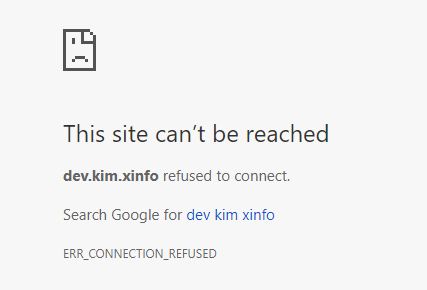 Today, I'd like to simulate a DNS at my local site but I got some weird error. ping dev.kim.xinfo , It can be got a normal reply. 1.host file adding a record. I found the answer at StackOverflow although that it was not being marked the right answer but it is exactly what I want. My 0.0.0.0 was being removed. 3.After IISreset that can be work.